This ABBA group costume is a great group idea for a fancy dress karaoke night. Dress up As Anna, Frida, Benny and Bjorn for your popstar themed night. All white ABBA costumes including platform shoes or boots. 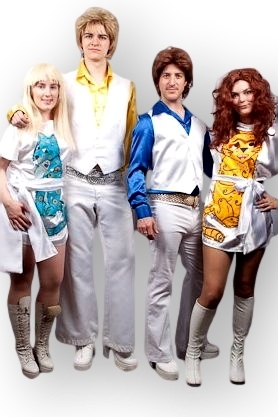 Our ABBA costumes can be hired individually or as a group.